A kit contains 10 handcrafted incense cones to remove negative elements from your home and a charm bag to protect it from these unwanted forces. 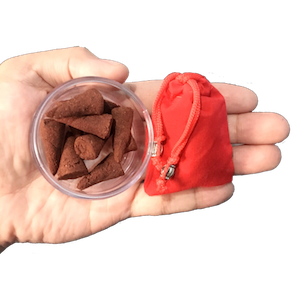 Each kit contains 10 handcrafted incense cones to remove negative elements from your home and a charm bag to protect it from these unwanted forces. No need to hire an expert to do this for you because you can now do it by yourself through this home cleansing and protection kit. Thanks NatureOZ! Sobrang gaan sa pakiramdam nung nakapagpausok na ako ng incense cones sa bahay at nagamit na namin ang protection charm. Confident na ako na magiging maalwan ang pagpasok ng bagong taon sa amin.